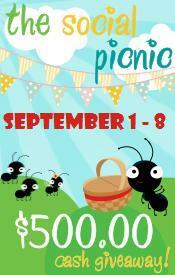 This Lil Piglet and Family Approve are happy to announce the winner of the 2nd Edition of the Social Picnic Event. Congratulations to Katie Allen who won the $500 US PayPal AND the Nextbook Next6 Tablet!!! After careful inspection of all the Social Picnic 2nd Edition entries, there were 27,118 duplicates still leaving 105,275 legitimate entries. 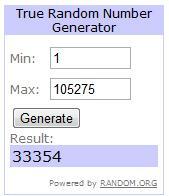 These duplicates were deleted before the winner was selected AND confirmed, as you can see in the image below. Thank you to all the blogs who participated and helped make the 2nd edition of the Social Picnic event even more of a success than the 1st edition. If you would like to be placed on the waiting list for notification of the next Social Picnic event, please submit $5 US as a gift (you pay fees when asked) via PayPal to stacey@thislilpiglet.net AND send an email to the same email address with “SP Waiting List” in the subject list with your blog information. This is not mandatory, rather a choice; the waiting list will be notified first of the next edition of the Social Picnic before being announced to any others. This Lil Piglet and Family Approve have decided to make a couple changes to the next edition of the Social Picnic to make participants and entrants experiences better which will be announced to the waiting list first. We hope to see you participate in the next event or see you pop by the hosts blogs for other event updates. In the meantime, check out the Ultimate Gamer Giveaway Event, now taking Sign Ups but be quick because we are already over half full, just in time for Christmas and the other events This Lil Piglet is participating in by selecting from Blog Events on the top menu bar and clicking through to the event you would like to read more about. The Ultimate Gamer event is expected to be as successful or more successful than this event.